WEST LAFAYETTE, Ind. 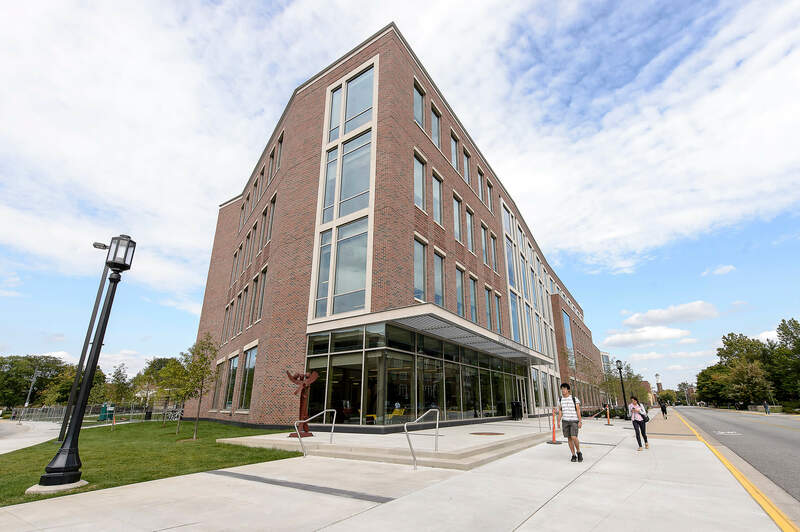 - On Saturday (Sept. 27) Purdue University dedicated the Krach Leadership Center, a key resource to help students succeed inside and outside the classroom so they can earn their degrees on time and develop leadership skills that will serve them through their lives. Krach is currently the chairman and CEO of DocuSign in San Francisco, former chairman of the board for Angie's List, and the founder and former CEO of Ariba. 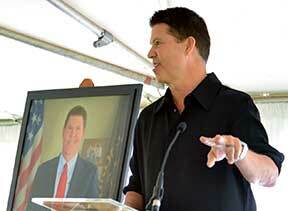 He served on the Purdue Board of Trustees from 2007-2013 and as its chairman for two terms. The Krach Leadership Center houses student resources including academic help, leadership development programs and student organization meeting space. Its location, along Third Street, also is in the heart of the campus’ student success corridor, where students live and study. The area includes residence halls to the west, as well as the Córdova Recreational Sports Center, dining courts, Black Cultural Center, fraternity and sorority houses, and the new Third Street Suites located between Wiley and Windsor residence halls. “The Krach Leadership Center really takes student leadership at Purdue to the next level,” said Bobby Haddix, president of Purdue Student Government and a senior in industrial engineering from Ossian, Indiana. “In one building, students now have nearly every resource they need to be successful students and leaders on campus. The space also provides incredible opportunities for students to collaborate with each other as we all work to accomplish our big dreams. I cannot wait to see all the great ideas that come out of this building this year and far into the future." The fourth floor houses the office of Student Success, which operates a variety of programming to help support student retention and on-time graduation. * Boiler Gold Rush, the fall orientation program for first-year and transfer students. * Learning Communities, a program in which groups of 20-30 students take two or three courses together and often live in the same residence hall. * Purdue Promise, the program that supports low-income, first-generation college students through required courses, learning communities, peer mentoring and individual support from professional staff. * Supplemental Instruction, an academic assistance program that offers students regularly scheduled peer-led study sessions. The third floor houses offices and meeting space for the Business Office for Student Organizations, Civic Engagement and Leadership Development, Horizons, and Student Activities and Organizations. On the second floor is Fraternity, Sorority, Cooperative Life; Purdue Student Government; and a variety of student organizations. The building's first floor is designed to be a public space between work and home for faculty, staff and students to meet and interact. Purdue Intercollegiate Athletics also was a key partner in this project, contributing $12 million over six years through Big Ten Network revenue toward the facility's total cost. Also, Purdue is currently seeking LEED certification for the Krach Leadership Center. Note to Journalists: Video B-roll is available for download at ftp://news69.uns.purdue.edu/Public/Krach Leadership Center.